I'm sorry but if anyone has told you that they have the ultimate summery pasta for you... they are wrong. THIS is the ultimate summer pasta. The dressing is vibrant and summery and it has a good whack of garlic to compliment the fresh herbs and pepper. D couldn't be convinced that it was like pesto and only managed a little bit - although he did keep returning for the odd bit. I am a little annoyed with myself that I didn't have enough of the same type of pasta to just use one variety. 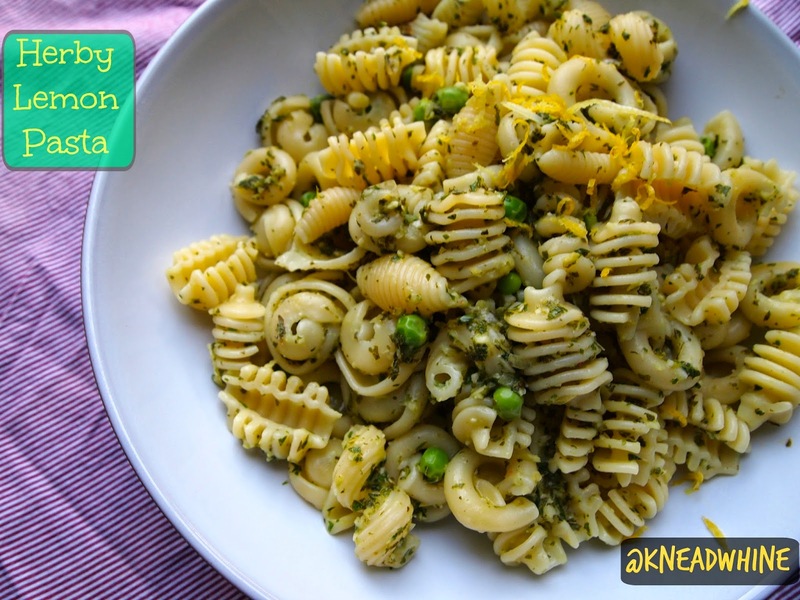 Radiatore really works with this and is currently D's favourite pasta shape - although he does quite like having dischi volanti too - he likes to get one pea into each of the pieces like they are a little bowl. This is quite loosely based on this Delia Smith recipe. I bought fresh peas in the pod with the expectation that D would help me to pop them. He went to the park with Mr K instead. So I had the fun of them. It turns out that they are messier than I could have ever imagined - they fly everywhere! Stats: - Serves two good adult sized portions and two children sized portions. I had the second child's portion for lunch. Cook your pasta in a large pan of boiled water according to pack instructions. Three minutes before the end of cooking time, add the peas. Meanwhile, prepare the dressing. Add all of the other ingredients to a small blender and whizz together. Drain the pasta and peas and toss through the dressing. Can be dressed with a little lemon zest if you have any left over at the end.